Nicole Cennamo, the SA’s vice president for academic affairs, said about 60 percent of students who answered the survey mainly use the brand iClicker, and about 35 percent of students prefer the service. Student Association leaders found that students incur unexpected costs of clickers and often pay for the devices multiple times during their four years. SA leaders conducted a survey last semester asking students and faculty what brands of clickers – handheld devices used to answer questions in class – they use and how much they cost. The survey found that most faculty are open to subscribing to one service so students do not have to pay for multiple devices during their college career. The report, which includes responses from 674 students who have used clickers and 37 faculty who have required clickers, will help SA leaders advocate for a single clicker service that all students and faculty would be mandated to use, they said. SA Sen. Amy Martin, ESIA-U, who crafted questions for the surveys, said the results “confirmed” what she already knew – students pay for clickers multiple times because the University does not require a standardized brand. Adopting a single provider is an “easy win” for the University to lower the added cost of attending GW, Martin said. Nicole Cennamo, the SA’s vice president for academic affairs, said about 60 percent of students who answered the survey mainly use the brand iClicker, and about 35 percent of students prefer the service. Of the students who have used iClicker, 24 percent have purchased the service twice and 11 percent of students bought the service three times while enrolled. Other students have used services like Top Hat and Turning Point, which both charge about $30 for a semester-long subscription. Students pay about $15 for a subscription to iClicker. The survey also assessed the number of times students have purchased clicker services for more than one class. Cennamo said 30 percent of students across all grade levels needed to buy a clicker for one class, 25 percent were required to use a clicker for two classes and 14 percent purchased a clicker for three different classes. 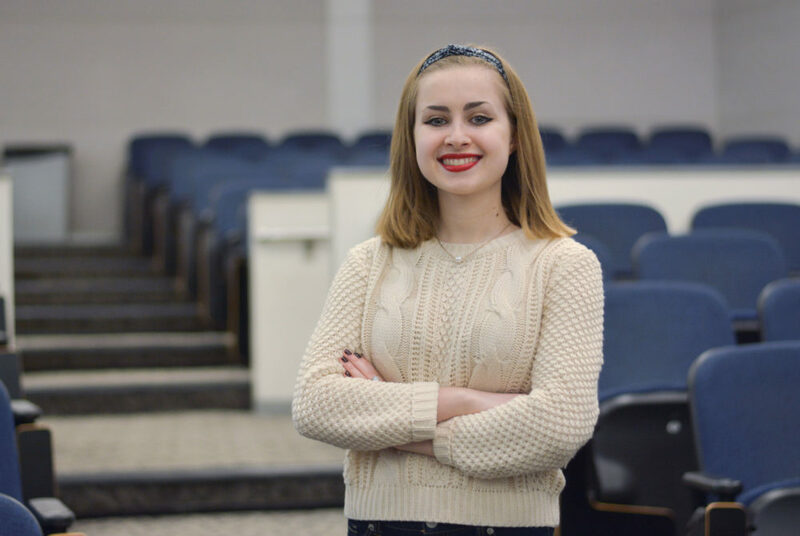 She said she will use the report to advocate for a University policy requiring a single clicker service with members of the Faculty Senate’s Education Policy Committee. Cennamo said she wants the University to adopt a single provider – which could be iClicker, Turning Point or Top Hat, the three brands students and faculty use most – by the end of the spring. About 40 percent of students spent between $26 and $50 on clickers last semester, and about 20 percent spent between $51 and $75 on the device, according to the report. But over students’ entire time at GW, more than 50 percent of students have spent more than $50 and about 30 percent have spent more than $75 on clickers. “I always knew clickers were very expensive, but I think having this data really contextualizes that for me and really shows that it’s a bigger issue than anyone has ever really thought of,” Cennamo said. On the faculty side, Cennamo said nearly 90 percent of professors who use clickers in their classroom used the service Turning Point, which she said was “surprising” because the majority of students reported using iClicker. More than 60 percent of faculty indicated that iClicker was their second-choice service, according to the report. Cennamo said students may have indicated that they mostly use iClicker because more than half of the surveyed students may have taken classes in large lecture halls. But she said other professors may still prefer to use Turning Point because the University lists the service on Blackboard. “GW technically endorses Turning Point, but they don’t enforce this endorsement, so that’s why we see so many other professors are still using iClicker in classes,” she said. She added that more than 60 percent of faculty said they would support adopting a University-mandated clicker service. SA Sen. Rilind Abazi, ESIA-U, said faculty should also allow students to use the mobile application or online version of a clicker service because they would not need to buy the physical clicker. But he said that if faculty prefer that all students use physical clickers, the University could provide a rental system through Gelman Library similar to the Top Textbooks program that allows students to rent out high-demand textbooks in popular courses.